MD Packaging is the exclusive distributor for Pearson Packaging. 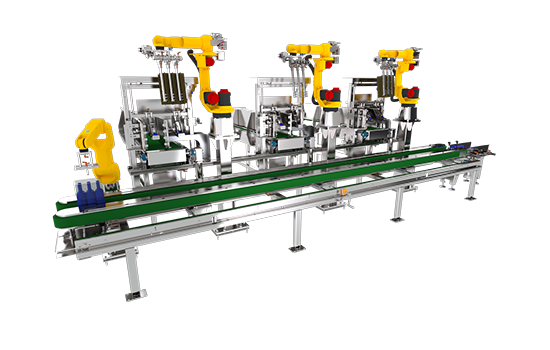 Pearson Robotic Partition Inserters utilize articulated arm robots to place partitions into cases using continuous motion and line tracking. This highly-reliable, flexible solution is designed to meet customer specifications for speeds, partition types and case styles.